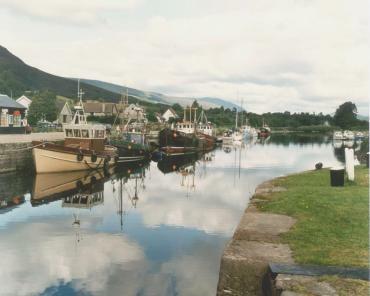 BeenThere-DoneThat: The area around Fort William, Scottish Highlands. 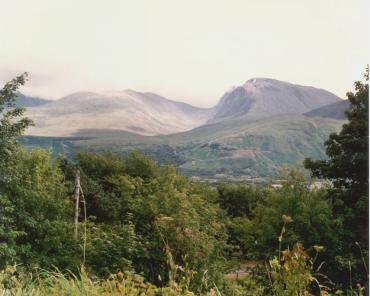 Ben Nevis, the right-hand hill of the two, is the highest mountain in Great Britain at 4,406 feet. 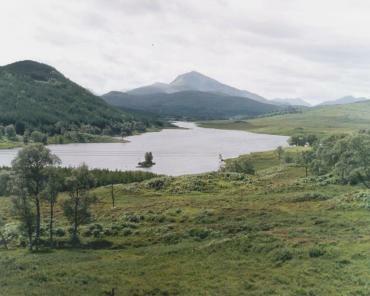 A five mile path, starting 2.5 miles from Fort William, leads to the summit. 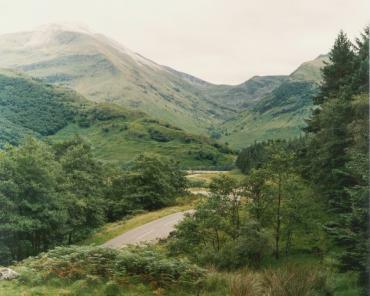 Just above the trees in the foreground, and in the centre of the picture, the start of the Glen Nevis road may be seen winding its way up the hillside. This is more easily seen in the larger picture. Glen Nevis is situated around the western and southern flanks of Ben Nevis. This canal, built by Thomas Telford, runs from the East coast of Scotland, near Inverness, through to the west coast, near Oban, passing through Loch Ness, Loch Oich, Loch Lochy and Loch Linnhe. Opened in 1847 the total length of the waterway is about 60 miles of which 22 miles is actual canal,including 28 locks, and the rest natural lochs. A view from the Fort William to Mallaig road - A380. The Ardnamurchan peninsula may be reached via this route.